One of our best sellers! 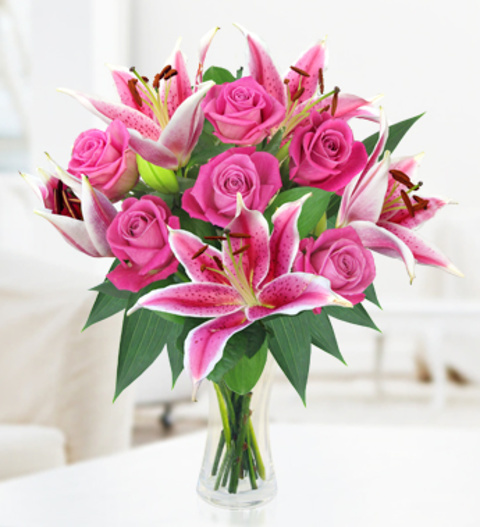 A beautiful arrangement in fresh Pink roses and long stemmed lilies. It&apos;s easy to see why this is the best selling bouquet, it is perfect for all occasions! The Rose and Lily bouquet is available for next day delivery.